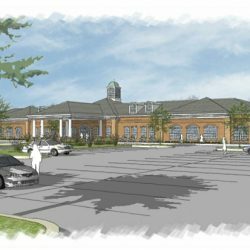 West Reading, PA. – Reading Health System (RHS) and The Highlands at Wyomissing (The Highlands) have announced plans for the continuing care retirement community to operate independently of Reading Health System. This change, initiated by The Highlands and approved by RHS, is aligned with The Highlands’ focus on its mission of enriching the lives of seniors and on the long-term growth and stability of its community. As the regulatory review process for this transaction is currently underway, the terms have not been released. The Highlands at Wyomissing is situated on 113 acres of gently rolling land with tree-lined roads and walkways located next to the beautiful Wyomissing Park. Our community draws a diverse group of residents from the surrounding counties and beyond. The Highlands offers 240 residential apartments of various sizes, 40 spacious two- and three-bedroom villas and homes and the Farmstead. Residents enjoy amenities such as a fully equipped Fitness Center, a heated indoor salt-water swimming pool, computer center, 5,000-book library, art studio, billiards room, putting green and garden plots. Services include three diverse dining venues, daily social events, bi-weekly housekeeping and linens, maintenance, full-service on-site bank, transportation, and educational enrichment opportunities. Residents also enjoy the added security of lifecare with our 66 Personal Care apartments and an 80-bed Skilled Nursing and Rehabilitation center. Reading Health, headquartered in West Reading, PA, is an integrated, nonprofit healthcare system serving communities in Berks and surrounding counties. More than 1,000 physicians and providers across 46 locations offer comprehensive, quality care ranging from prevention, screenings, and education to the latest clinical services and treatments. The system includes Reading Hospital, a 714-bed hospital offering advanced specialty care including McGlinn Cancer Institute, Miller Regional Heart Center, Emergency and Trauma, Stroke and Joint Care. Advanced inpatient and outpatient care are provided at Reading Health Rehabilitation Hospital, including specialized programs for orthopedic surgeries, stroke, and movement disorders. Reading Health Physician Network is an integrated primary and specialty care group with more than 600 providers with offices located throughout the region. Reading Hospital’s provider-payer joint venture, Reading Health-UPMC Health Plan, increases access to value based care and further controls costs for employers and individuals. Reading Health has been recognized for its quality outcomes and clinical expertise across services lines, and was recently awarded the 2017 Healthgrades Distinguished Hospital Award for Clinical Excellence and listed as one of America’s 100 Best Hospitals. This commitment to excellence is also reflected in the recent opening of the innovative Reading HealthPlex for Advanced Surgical and Patient Care. For more information about Reading Health, visit www.readinghealth.org.